Work for Palo Alto Networks Traps? Learning about Palo Alto Networks Traps? "Excellent threat hunting capabilities "
that with secdo our security team is really able to be proactive and not just handle alerts in a reactive way. Because we handle alerts faster, we have time to threat hunt – based on leads, IOCs or even behavioral IOCs we created in secdo. And because they record all endpoint activity and store it for months – we can really hunt. We can find advanced, fileless, and in-memory attacks, and go deep into suspicious activity to identify anomalies that could lead to silent threats. I am waiting for them to add some features we asked for, but other than that - none. "EDR with focus on SOC problems, very good "
It’s not that I dislike, but Secdo is meant to be used by matured SOC teams. If you are a “one man show” doing security operations – Secdo is probably not for you. Reducing risk. We don’t miss any alerts so we don’t miss threats, and this reduces the chances of having a breach (which we all know we can’t 100% avoid) become a data breach. That’s the key benefit for us, so even if an attack has succeeded, we will catch it and respond to it fast enough to make sure it doesn’t have time to actually do any harm in our network. The ability to configure it and know that it will auto update without needing regular input. This is a great product and we couldn't be happier with it. If you need something that wont require having someone look at every issue in it and fix issues daily, this is a great fit. Palo Alto is our primary antivirus and ransomware protection. "A better handle on breach damage than anything else we have tried"
We are in a situation now where we have to justify every expenditure, even for cyber security. We have to quantify, quantify, quantify! Fortunately, there are a lot of published metrics regarding the costs of data breaches, even down to the single data record. Our cyber security products can no longer justify themselves by “providing security”. When we acquire a new product, it has to show us that it brings real, quantifiable value. Secdo’s ability to fully assess damage from any breach gives us a vital metric to report. To me, that’s far more useful than just the incident response part. It gives us the cost and value of the way we do incident response. Secdo gives us a better handle on breach damage than anything else we have tried. To date, we are able to quantify data leaks so some degree. We are on the road toward establishing metrics for our incident response and Secdo is helping us. "ELEKS bolsters its security services by partnering with Secdo"
I’m pleased to introduce the ELEKS new security service portfolio powered by Secdo. Secdo’s preemptive incident response platform allows slashing the incident response time from months to minutes. We are happy to use this solution in-house as well as to recommend it to our customers. This partnership brings a strong security support to our business and allows us to offer improved security services to our clients. Often we need some additional functionality (flexible reporting for instance), more visibility into agents and their hardening from the solution itself. Anyway, Secdo team is amazingly professional and we have it within days or already in the product roadmap. - ELEKS quickly and cost-effectively introduced new services – prompt incident response, threat-hunting. - We are able to perform remote response without impacting business productivity, remote remediation while end-users continue to work. "Great combination of EDR with security automation"
We're aware of some of the top EDRs - None of them gives an automation layer that would allow insight to investigate incidents and alerts automatically. That’s a game changer for us – instead of drilling into each alert and trying to match it with the relevant endpoint data – Secdo does that automatically for us (they call the algorithm that does that ‘causality analysis engine’). Definitely get involved with this product - it's ease of use, ability to drill down and coverage at volume would make your life easier ! we don't have the capacity to investigates all of our daily alerts. Secdo allows us to get better coverage, about 30 times the coverage which is unbelievable ! 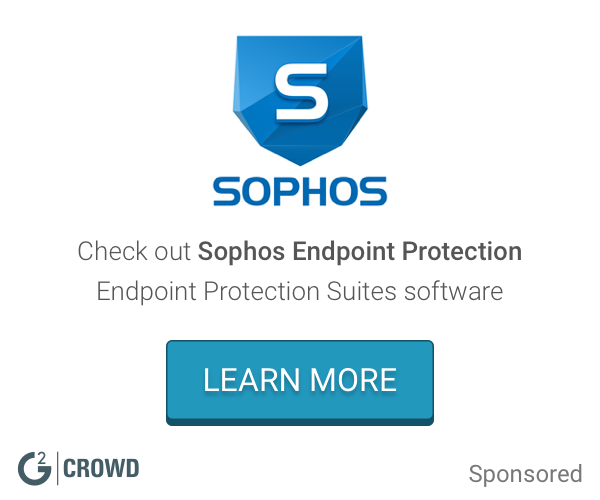 "SecDo Host visibility – for IT and Security"
That they don’t also have an EPP solution. "Best Incident Response platform I've worked with..."
The excellent incident response capabilities. I’ve never seen anything like it – the ability to investigate and remediate threats in literally minutes. Nothing I can think of – it’s really fantastic. If you deal with a lot of security alerts and don’t have the manpower to investigate all of them – Secdo is the tool for you. It also has amazing remediation capabilities – all from one place without the need to install additional tools on the endpoint. Our customers are large Enterprises that have SOC teams or incident response teams that need to deal with overwhelming amounts of alerts generated from prevention and detection systems they have. They use Secdo to validate and investigate the alerts automatically, and once a real threat has been found – they use Secdo to remediate the alerts surgically. With Secdo they are able to deal with all alerts and reduce time for investigation from days to minutes. "Well done product, it's give us eyes where we ware blinds." Heart beat is not exists in the product, so we are bare for technical issue. I think that if you really want to understand Secdo, you have to go to one of their conventions, it's clarify many things about the product, and bring visual view of how it's operate. I didn't experienced with Carbon Black and know how good the product only by rumors , so I think that there is a head to head fight between those to leaders and in my opinion Secdo are definitely on the right path to become the main leader in Incident Respond market. I can hardly say that we has business issues, it really looks like that SecDo make lots of effort to make the customers satisfy. "solving a huge IT hassle"
In the IT department, we like being able to remediate endpoints from our own office. We don’t like to have to walk all over the campus to collect computers, bring them back and wipe them. It’s a pain. Secdo gives us very cool remote remediation tools so that we can pinpoint bad processes and quarantine them. We don’t have to disturb the user to do all this. Less hassle for everybody. Frankly, this Secdo business is new and not all the IT people are on board. There are still some “old-timers” who cannot get off their insistence that all infected endpoints have to be wiped and re-imaged. Over time, we will convince them that our method with Secdo is way more efficient. At the end of the day, Secdo cuts remediation time and bother. That’s what will win the budget battle. As we log more remediation time with Secdo, more people are coming to see that we can reduce our budget and remediate much quicker than before. "Excellent to manage 'false positives' alerts emanating from a SIEM"
3. Remediation/ freeze from the console. It seems to provide the ability to compress the investigation / visibility / response capabilities timeframes. Another highlight is the ability to fight ransomware attacks. Trying to figure that out. currently, seem to like what I am seeing. A good product/ solution fit if you are considering Behavioral/ threat analytics. The analytics and remediation is pretty intuitive and considering the technology space is not too old, SECDO is doing a good job with cyber security requirements. going on and why the user is complaining. efficient and keeps our users a lot happier. A lot of people who are not necessarily involved in hard-core cyber security think that the goal is to automate everything. There are still a lot of incidents that you can’t and you don’t even want automated – you need human ingenuity to understand. I like that, with Secdo, I can get all the information I need to make the best decisions especially on highly complex cases. I guess you would say that we are concerned with keeping our data safe. With so many endpoints and as the target of some very serious attacks, we have to respond rapidly. Secdo has made the whole team way smarter when it comes to dealing with the real hard stuff. "EDR system Secdo for analyst"
- solution automatically generates incident process three for analyst. - allow to immediately add behavior indicators of compromise of malware. - upload file samples to the VirusTotal. - allow immediate incident response. There is not any options in Secdo which I dislike,but I hope that in future company will have automatic IOC integration process . Immediate incident response of incident. "Best way to forensics/investigate workstations "
easy to use, give eyes on incidents and processes which are relevant. I like a lot the possibility to dismiss classical antivirus system. I appreciate a lot the easy delivery and installation as well. Nothing particoularly, but the full integration with Mac world would be appreciated. Possibility for smartworkers to be always protected. "Next Gen Anti Virus - Finally ready for the marketr"
We have used traps for 2 years now and the 5.0 platform solves so many of the current issues. The interface is 100x better and the application protects us the way it should. My only complaint is that you still cant use the traps client as a palo alto identity source for User ID. Take a look at Traps and carbon black. They are both great next gen firewalls. Secdo has a quick response time once problems are identified. There's not much that I don't like about this. Its one of the most focused vendor on IR. Where as all other vendors are EDR focusing less on IR, most important thing for any organisation. Endpoint Monitoring for investigation and quick analysis. "Incident response automation is not a myth "
The cyber kill chain tracking, Secdo shows us the attack to a thread level. "Good threat detection and response tool"
"The Best Incident Response and Forensics platform these days!" "SECDO to the rescue "
Enables investigation on hosts over time without the need of expensive forensics products nor system experts. we needed response tools (isolating host and run commands remotely) but SECDO solution now included them. Make sure you have strong bi-directional communication with your SIEM (most important for handling alerts and automation of alerts on workstations. We now can search for same evidences cross company in minutes. "Hunting & Investigating by SECDO gives the ability to disassemble any attack to its parts"
There is nothing cons according to me so nothing. It's easy to see what's happening at our endpoints across the board and see who uses what service/application. nothing in particular that I can point to. We get to solve problems for users more quickly, so that people are not frustrated for having to stop working when an incident occurs. With sedco we are able to bring the volume of suspicious alerts from 500 to 20 a day. Secdo's automated incident response platform hunts threats in real time and delivers an endpoint detection and response solution. * We monitor all Palo Alto Networks Traps reviews to prevent fraudulent reviews and keep review quality high. We do not post reviews by company employees or direct competitors. Validated reviews require the user to submit a screenshot of the product containing their user ID, in order to verify a user is an actual user of the product. Hi there! 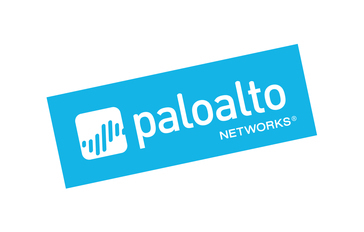 Are you looking to implement a solution like Palo Alto Networks Traps?